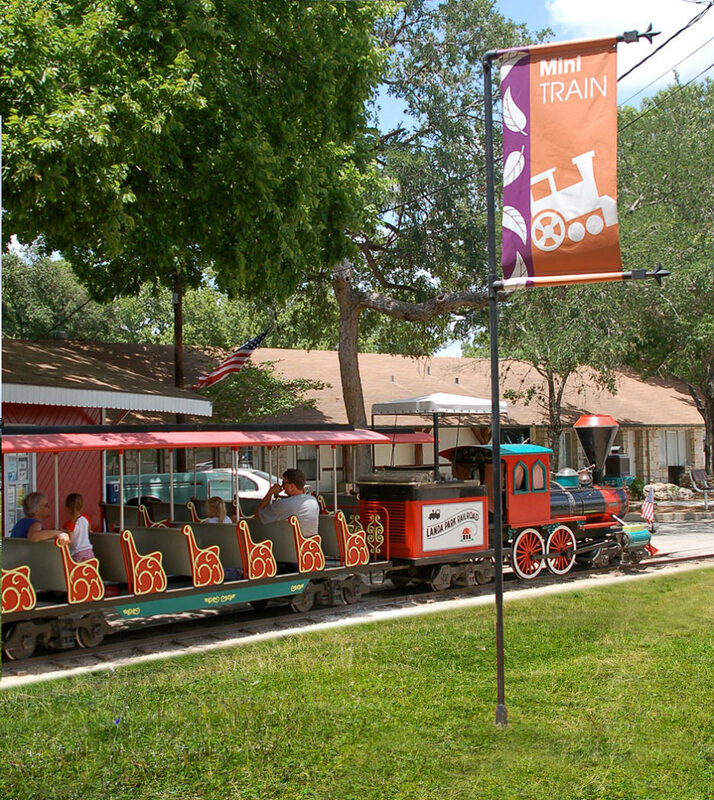 New Braunfels Park and Recreation Dept. GOAL: Design banners for popular venues at Landa Park in New Braunfels, Texas. RESULT: A fun and graphic approach which directs the public throughout the park.